circumstances of the case and a brief commentary on the importance of the decisions and principles illustrated, with cross-references to other relevant decisions on similar issues. At the end of each section, final remarks are added, together with thought-provoking questions and additional readings. 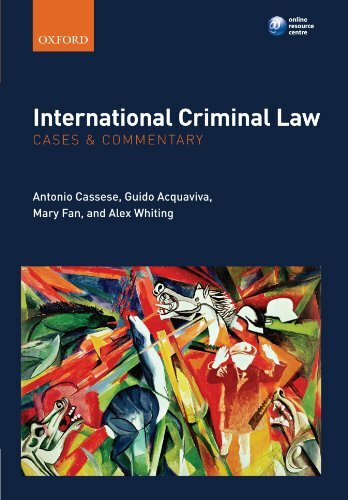 International Criminal Law: Cases and Commentary focuses on the most relevant cases before international jurisdictions today and hard-to-find, domestic decisions that are highly relevant for the present and future development of international criminal justice. The volume is an important source for students and academics in the fields of public international law and international criminal law as well as a concise, interesting and instructive resource for practitioners, policy makers and staff of international organisations dealing with international justice.